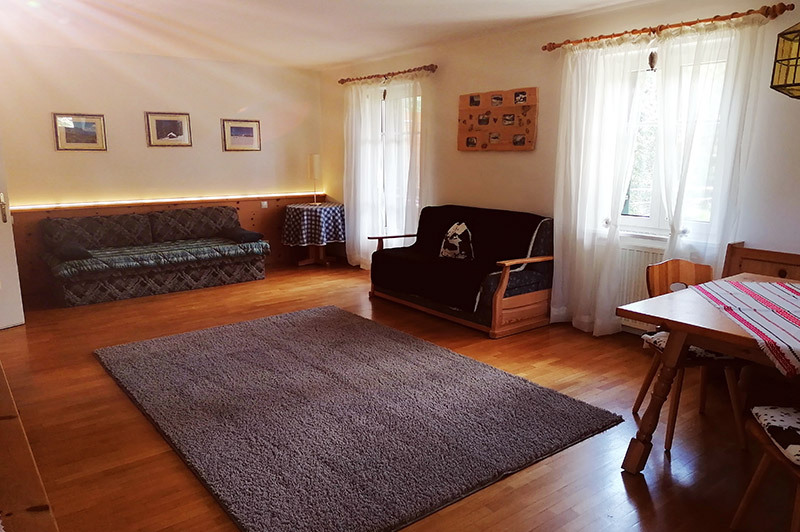 Recently we offer the Apartment Anternann which is situated in the Residence Unternonn to our guests as an accommodation in a quiet location with view on the Sciliar Mountain. 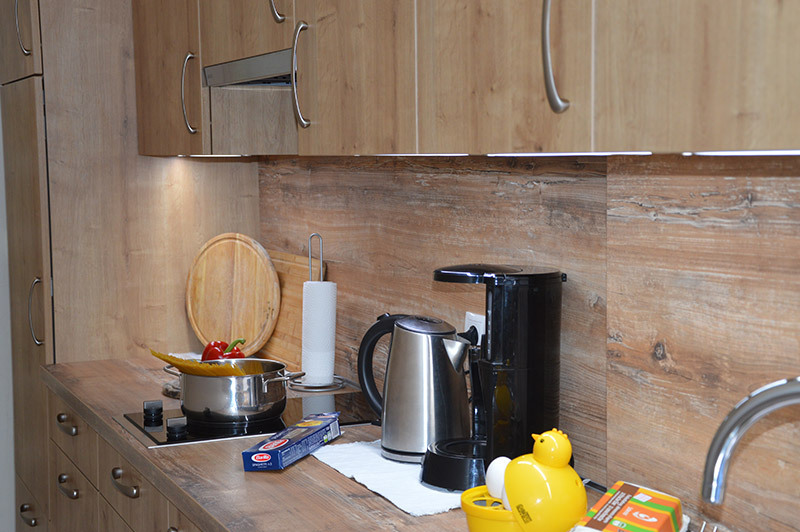 We would like to offer you an unforgettable vacation and to embellish your holidays in the Apartment Anternann. 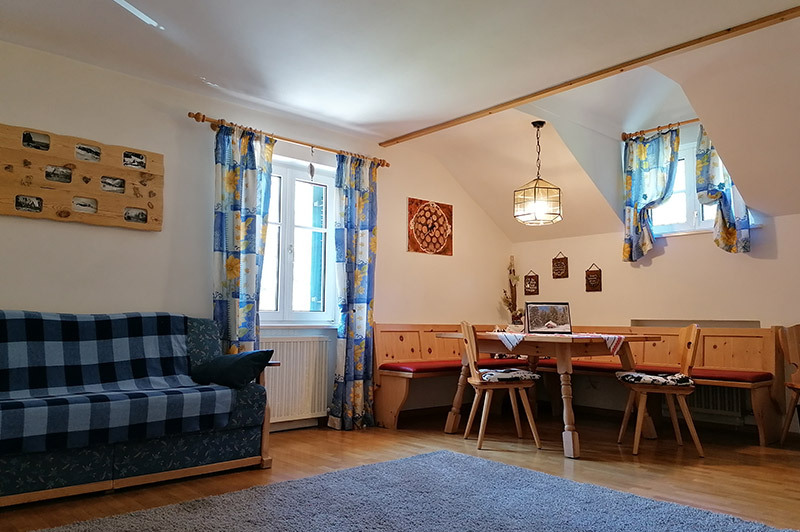 The cozy and spacious 83 qm apartment provides a bedroom with a lot of stowage. The bedroom could be used for more people thanks to the comfortable sofa bed. 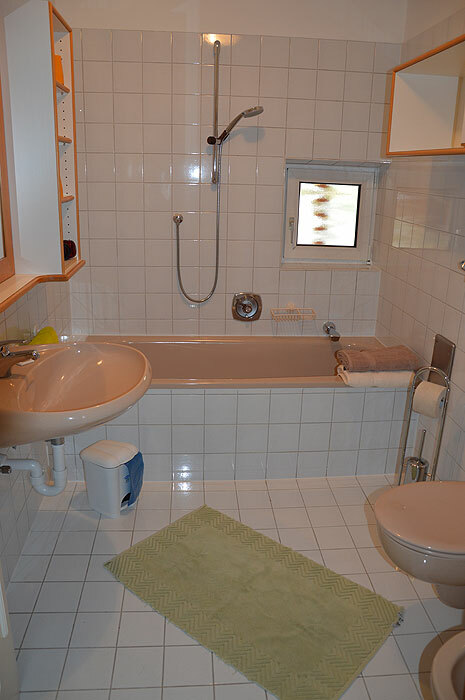 A bathroom with shower, toilet, bidet, hairdryer and washing machine is available for you, too. 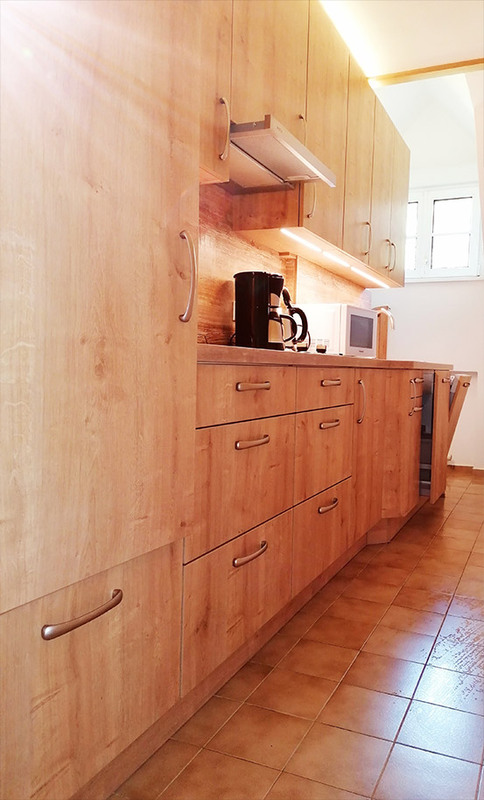 The kitchen disposes of a refrigerator, hotplates, a coffee machine, a toaster, a water boiler and sufficient dishes. There is the possibility to accommodate more people on the sofa beds in the bright and ample living room with balcony. 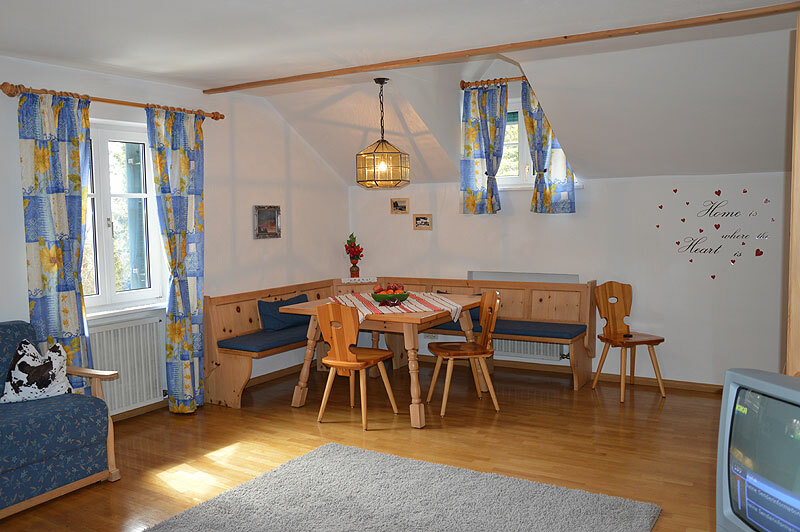 Linger and enjoy the view through the window on Europe’s major plateau and on the surrounding Dolomites. A TV with SAT connection and stereo completes the offer. 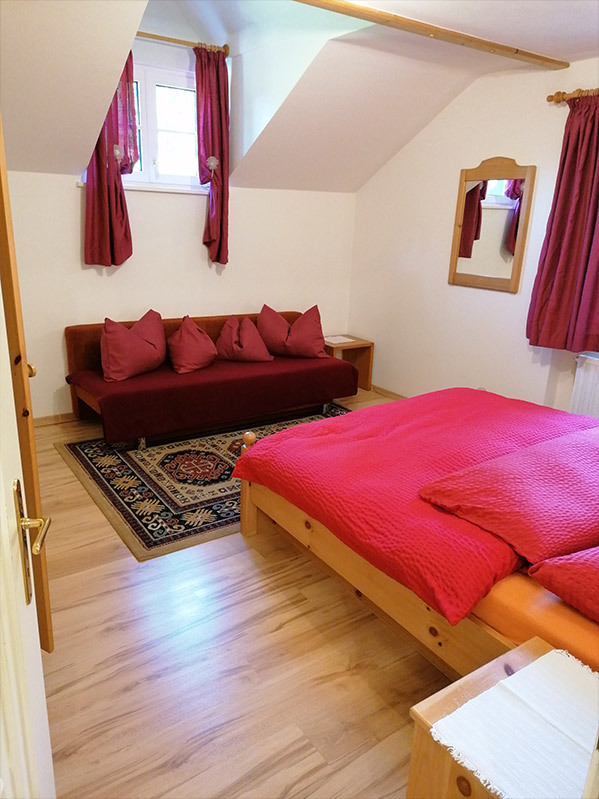 The entire laundry, such as bath towels, bed linen and dishcloths are available for free in the Apartment Anternann. Parking your car in our garage is free of charge, too. 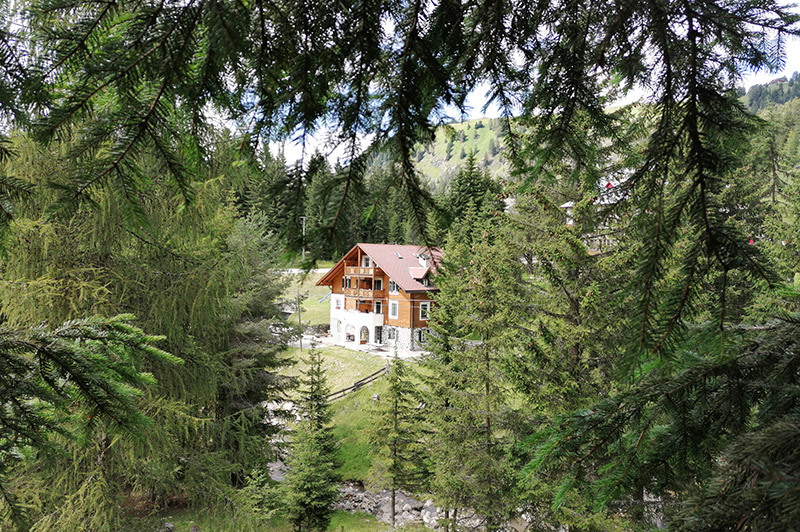 Within 5 walking minutes you will reach the nearest lift called Spitzbühl. The top of it belongs to the favourite starting points for hikes in summertime and skiing or cross country tours in wintertime. This is the perfect place for paragliders and hang-gliders, too. If you are interested we would be pleased to send you an offer.